Outdoor concerts are a summer staple – because what’s better than spending a warm summer evening outside with friends, food and drink and your favorite tunes? Baltimore’s music scene is exciting as ever this season, where outdoor shows are happening all over town practically every weekend. Aug. 11, 2018 | Doors: 6 p.m., Opening Act 8:30 p.m., Main Act 9:45 p.m.
As the summer heats up so do our acts! 93.1 WPOC and Miller Lite present Hot Country Nights featuring Granger Smith! Aug. 17, 2018, Door: 6 p.m., Show: 8:30 p.m.
Coors Light Block Party presents Wyclef Jean and special guest Edjacated Phools on Friday, August 17th! General Admission: Free with RSVP in advance, $10 day of show. Must be 21+ to attend. Aug.18, 2018 | Doors: 6 p.m., Opening Act 8:30 p.m., Main Act 9:45 p.m.
Billy Currington is coming back to the Live! Stage with special guest LOCASH for Hot Country Night Series presented by 93.1 WPOC and Miller Lite! General Admissions: $20 in advance, $30 day of. Must be 21+ to attend. Aug. 24, 2018 | Doors: 6 p.m., Show 8:30 p.m.
Coors Light Block Party presents Badfish: Tribute and special guests 9 Mile Roots to Sublime. General Admission: Free with RSVP or entry before 9pm. $10 after 9pm day of show. Must be 21+ to attend. Sept. 8, 2018 | 1 - 5 p.m.
Bacon lovers unite! Power Plant Live! is celebrating the greatness of BACON! Local vendors from all over the city will be serving up a variety of bacon-based dishes and quench your thirst with bacon-inspired cocktails. Groove out to local jam bands while walking around in a bacon-lover’s nirvana. Brush up on your bacon handling skills since there will bacon-themed games and competitions to fulfill a “bacontastic” day! Sept. 14, 2018 | Doors: 6 p.m., Show: 8:30 p.m.
General Admission: Free. Must be 21+ to attend. Sept. 21, 2018 | Doors: 6 p.m., Show: 8:30 p.m.
Coors Light Block Party present The Purple Xperience to the Live! Stage. Bringing the memories of Prince and The Revolution to audiences of all generations this is a show you will not want to miss! General Admission: $11 in advance, $15 day of. Must be 21+ to attend. Featuring: Jackie Greene, Daniel Nicole, and more TBA. It’s Free Music on the Waterfront! Music Starts at 5:30 pm, and admission is free. No outside alcohol please. ABSOLUTELY NO GLASS CONTAINERS. First Thursdays are RAIN OR SHINE. The Summer Sounds concert series at Belvedere Square presents: Junkyard Saints! Junkyard Saints will be bringing their New Orleans-style party rock back to Belvedere Square! This seven-piece band performs an amazing blend of covers and originals and is sure to have the Square hoppin'! As always, Summer Sounds concerts are FREE, kid-friendly events. Come and join us for the best live music, food, art and more! The Summer Sounds concert series at Belvedere Square presents: Crushing Day! Crushing Day has been rocking Baltimore's music scene since 1993 and has is one of the area's most well-known cover bands! Come see what the buzz is all about and enjoy this FREE show, along with amazing food from Belvedere Square restaurants and other local vendors! The Summer Sounds concert series at Belvedere Square presents: The New Romance: The Ultimate 80's Tribute Band! We are thrilled to have The New Romance "The Ultimate 80's Tribute Band" joining us again for Summer Sounds! Named the best tribute act in Baltimore in 2016 and 2017, The New Romance is all about the 80's! Come join in the nostalgic fun with a night of your favorite 80's tunes! Summer Sounds concerts are FREE events for the whole family. Come and enjoy the area's best live music, food and more! The Summer Sounds concert series at Belvedere Square presents: Ruthie & The Wranglers! Ruthie and the Wranglers will be yee-hawing their way to Belvedere Square. Come join the fun with one of the area's best Honky Tonk bands! The Square is the place to be on Friday nights in Baltimore - Featuring live music from the region’s top bands as well as the restaurants and shops of Belvedere Square. The Summer Sounds concert series at Belvedere Square presents: The Crawdaddies! Come close out the summer with The Crawdaddies! Summer Sounds 2018 concludes with the roots rockin', zydeco, blues and funk band! Join us at Belvedere Square for the final concert of the summer! As always, this is a FREE event featuring the area's best live music, food from local restaurants, and more! Bring a blanket and enjoy a fun, family-friendly evening at West Shore Park every second Friday from May through September. This event features live music by a local band, kids activities, food truck, bar service, and the Walter Sondheim Interactive Fountain. Summer Socials are always free and fun to attend! Special Appearance by Picnic Pops! Special Appearance by Funnel Fare! 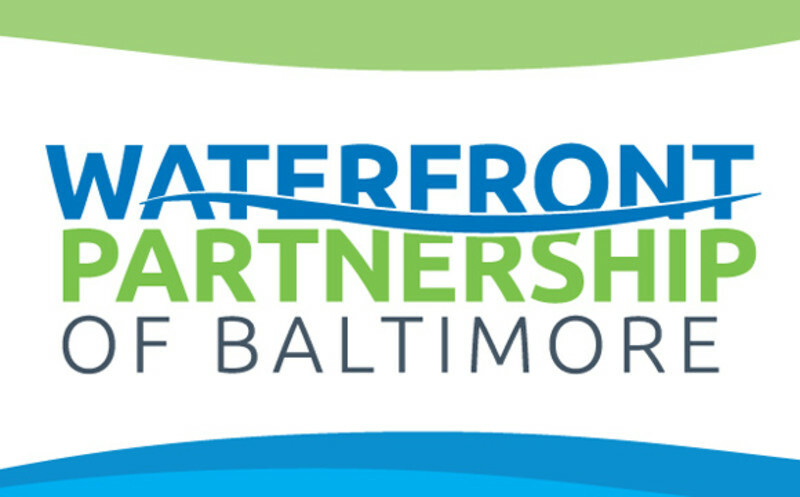 The driving force behind a cleaner, more attractive & more exciting waterfront!